The Philanthropy committee is very pleased with the progress we made last Spring. 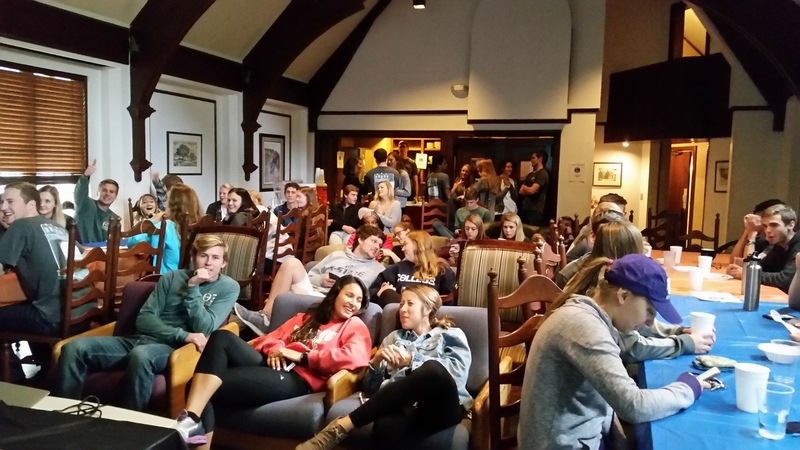 We decided to give a new event a test run in hopes of establishing a successful tradition. 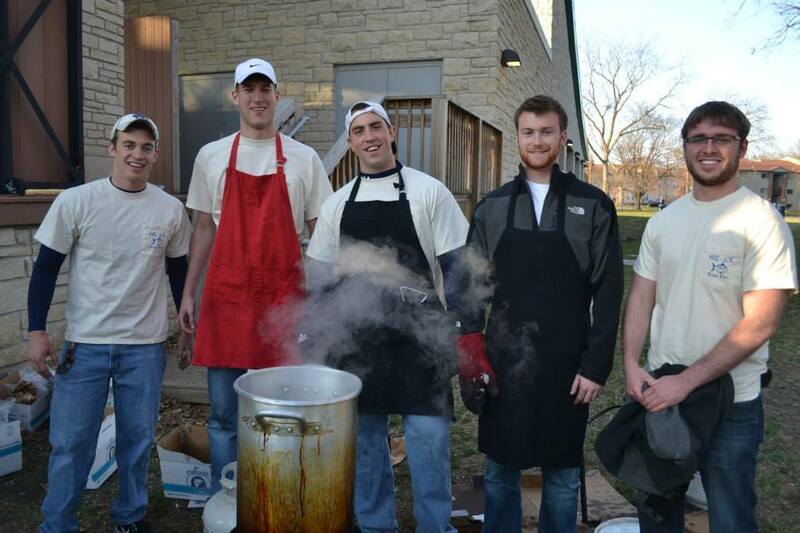 We organized a fish fry, in collaboration with the brothers of Delta Chi Fraternity. Future partnerships for this event are unclear, though the men of Delta Chi were helpful in enhancing the philanthropy’s success this year. The Philanthropy committee was happy to see that we raised more money this Spring than in recent years. 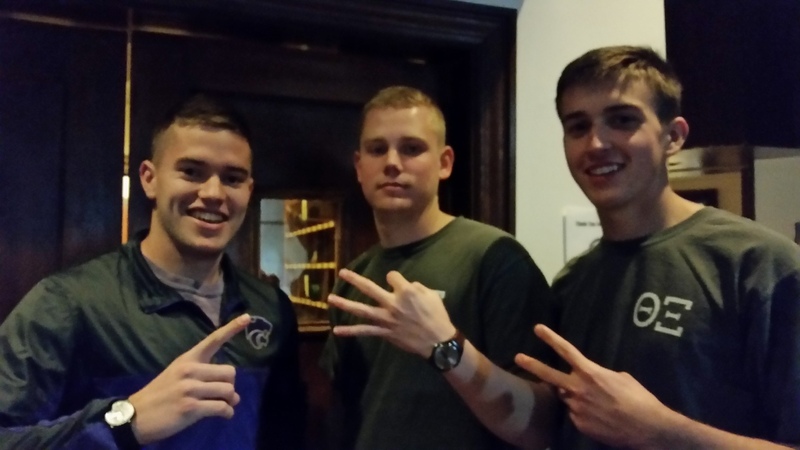 A total of $2153 was raised in collaboration with Delta Chi Fraternity. We split this amount evenly, leaving us with $1076.50. This amount was also combined with donations collected by our House Mom (Mom Rose), and various other donors who wanted to see their money go directly to National Multiple Sclerosis Society. In total, Theta Xi donated over $1300 to National Multiple Sclerosis Society. The fish fry proved to be a success, and we are looking forward to making improvements to the execution of the event to minimize costs, and maximize the amounts of donations. The Philanthropy committee is currently working to create another successful event for this Fall. 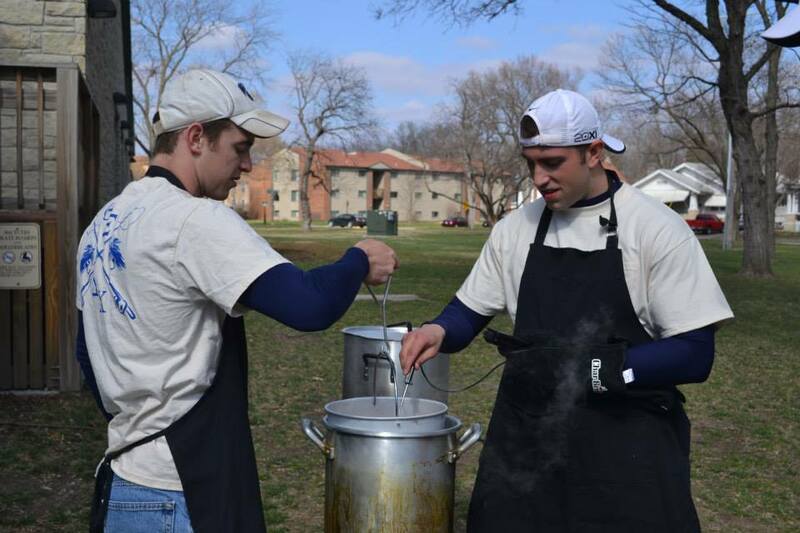 Philanthropy continues to be a primary focus of the members of Alpha Iota. 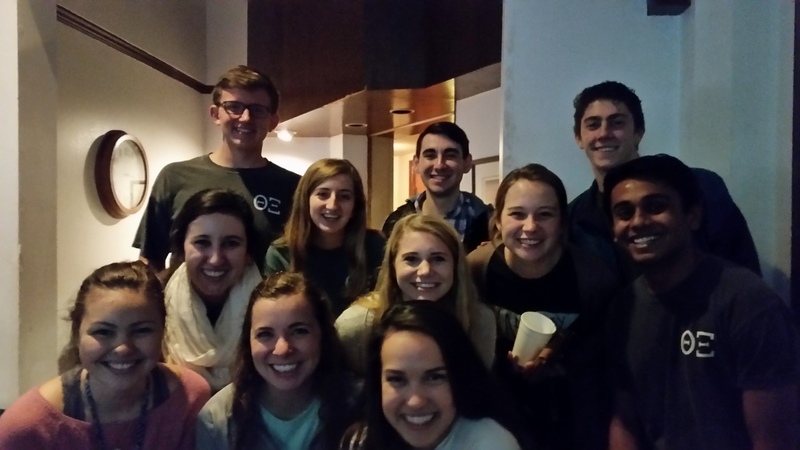 Our main philanthropy event during the Fall semester was called HBO & Cookie Dough. For HBO & Cookie Dough, we turn our dining room into a movie theater where we serve cookie dough, cookies, ice cream, and hot chocolate and donate the proceeds from ticket sales to charity. 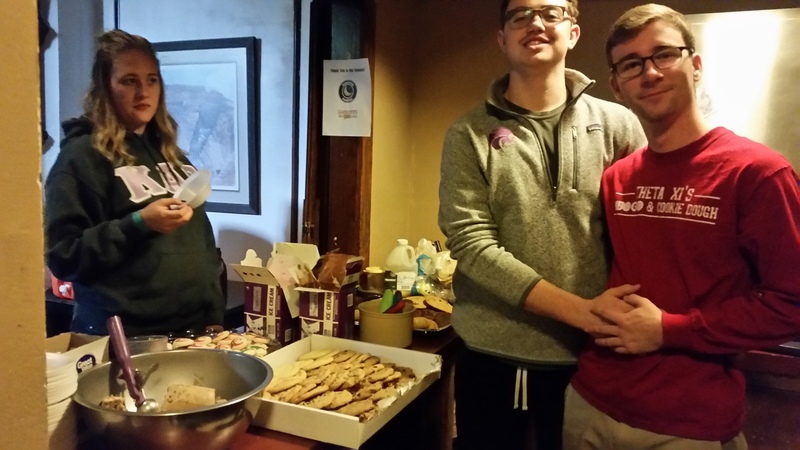 This semester was unique for philanthropy, as we decided to change our charity of focus for this event in efforts to boost our Fall earnings and to find a way to impact the K-State community. After much discussion, we decided to collaborate with Kansas State’s Student Foundation and sponsor the K-State Proud organization. 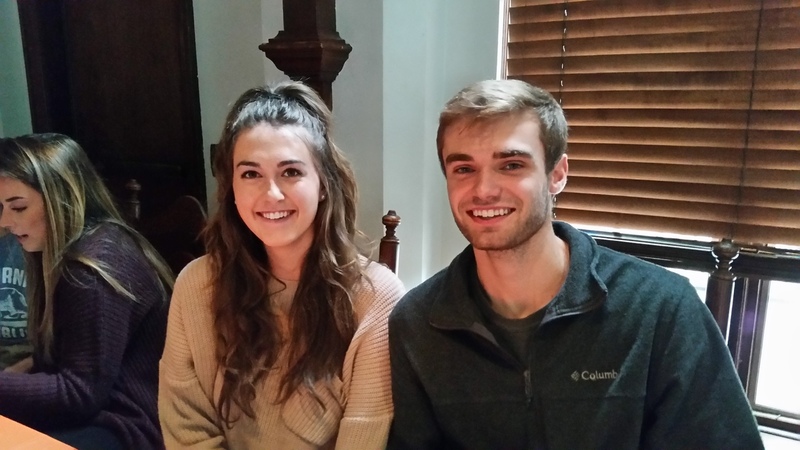 This organization is very important for the K-State community because it assists students who are unable to afford college tuition and helps them stay at K-State to pursue their undergraduate degree. Due to our efforts this semester, we were able to raise around $1,200, with all of these proceeds going directly towards K-State Proud. We are very proud of this accomplishment because the money we raised is enough to keep one student enrolled at K-State for an entire semester. During the Fall semester, we also participated in a Scary Corn Maze at Britt’s Farm. This event was a blast, and we love volunteering every year. From this event, we were able to raise $900, with the proceeds going directly towards Habitat for Humanity in Manhattan. In all, we were able to raise around $2,100 this Fall. Knowing that all of our hard work continues to make a profound impact in the Manhattan community, the results of our successful philanthropy events were very fulfilling for the men of Theta Xi. As always, we will be looking to improve upon our success, and our impact on the Manhattan community will continue to be great in the years to come.